Nassau County Legislators Denise Ford and Steve Rhoads are calling upon Democrat Legislators to stop their attempt to block County efforts to clean up our environment. In a shocking disconnect with elected officials and environmental organizations throughout New York State, the Democratic minority on the Rules Committee of the Nassau County Legislature Monday voted against two public works contracts aimed at cleaning up our air and waterways. 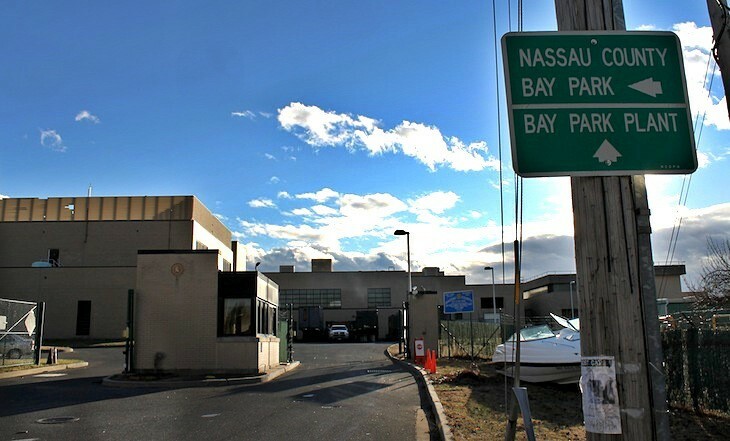 The Democrat legislators voted “no” on a contract to provide $19 million in Aeration Tank process modifications at the Bay Park Sewer Treatment Plant. These modifications, which would be 100% reimbursed by FEMA upon completion, are needed to replace and upgrade nitrogen removal equipment damaged during Superstorm Sandy. Excess nitrogen being discharged into Reynolds Channel has threatened plant and marine life in the Western Bays. "Sadly, my colleagues in the minority have again demonstrated that in their world view, there is nothing more important than politics,” said Legislator Steve Rhoads, whose district includes Nassau&apos;s Cedar Creek Sewer Treatment Plant, "not even our environment is sacred". Democrats also voted against an extension of a contract that is aimed to improve the Bay Park Screening facility, which is currently using outdated technology resulting in a maintenance intensive and odorous process. Even worse, this contract did not require any additional monies, simply an extension of time. The “no” votes come on the heels of news that Republicans in the New York Senate have proposed a massive overhaul of the contaminated water supplies and infrastructure failures statewide. This plan, which has support in the Assembly, would include addressing the septic tanks on Long Island that threaten drinking water as well as surface water. “After years of neglect under the Suozzi Administration, Nassau County has spent over $320 million dollars repairing the damage Nassau&apos;s Democrats caused to our sewer treatment plants through their lack of leadership and common sense. Their actions today demonstrate they&apos;ve learned nothing in the interim”, Rhoads concluded.